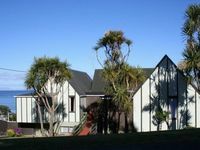 Properties in Titahi Bay average 4.4 out of 5 stars. Property 1: Spacious home for larger families. Property 9: Stay right on the beach! Such a beautiful place, didn&rsquo;t want to leave! Such a beautiful place, didn&rsquo;t want to leave! Great place for families and wonderful owners always there to help you in anyway! Highly Recommended!! 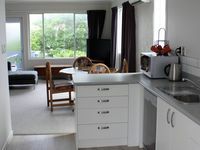 We were very happy with Michelle's unit in Mana, perfect for our weekend stay to visit with friends in Porirua. Also easy trip into Wellington and close to the beautiful village of Plimmerton for cafes and restaurants and see front walks. Also Train into Wellington at the back door.